How should architects respond to the call to design a border wall? 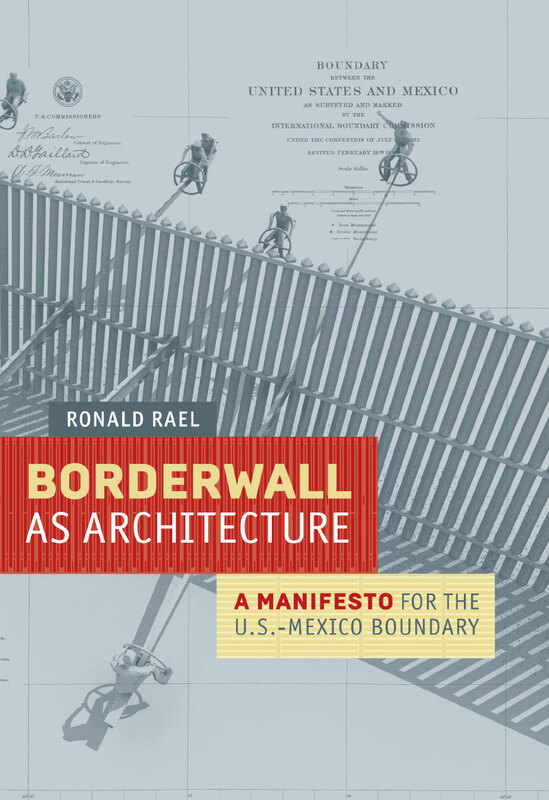 Architect and educator Ronald Rael recently released Borderwall as Architecture: A Manifesto for the US-Mexico Boundary as an answer. Borderwall as Architecture is a collection of proposals, counterproposals, speculations, and research findings that encourage a critical engagement with border conditions. The findings were generated through his research studios with students and collected on a blog of the same name. The book couldn’t come at a better time or with a greater sense of urgency thanks to President Donald Trump’s insistence during his presidential campaign to have Mexico pay for a wall and the resulting rapid-fire progression of actual wall-building proposals. Six months later, these prototypes are being built along the border east of San Diego while the funding battles continue in Congress. Rael’s richly illustrated collection shows the ways in which the borderlands condition the U.S.-Mexico divide, how border fences function and how they are often subverted. Borderwall as Architecture collects stories of jump ramps, catapults, and tunneling machines; methods of getting over, under, and around existing controls. There are environmentally restorative proposals, like a green wall of indigenous cacti, a wall that generates solar power, and one that effectively channels and collects water. There are artistic and culture proposals too: from a “Theatre Wall,” “Climbing Wall,” “Sport Wall,” “Burrito Wall,” and “Birthing Wall” to outright hilarious ideas such as the “human cannonball,” which would shoot a person over a section of border wall, passport in hand. In many ways, Rael’s Borderwall proves to be a guide to outside-the-box thinking spatially as well as politically about the border. The border is a microcosm of political and social issues. From the economic impacts of migration and trade to questions of nationalism and identity, it is a place where fears and aspirations are projected from afar. The reality of life in the borderlands looks very different than its image. Where one stands relative to a wall—i.e., “Which side are you on?”—says a lot about the politically charged moment that Americans, both in Mexico and the U.S., find themselves in. What does it say about our moment when, on the one hand, the federal government is collecting “speculative” design proposals, and on the other President Trump is currently saying things like “We are thinking about building a wall as a solar wall. So it creates energy. And pays for itself”? The bidding process is so fraught that even Engineering News Record reports that large contractors were skittish in putting in their bids, and many of the successful bidders have been revealed to been under criminal investigation. 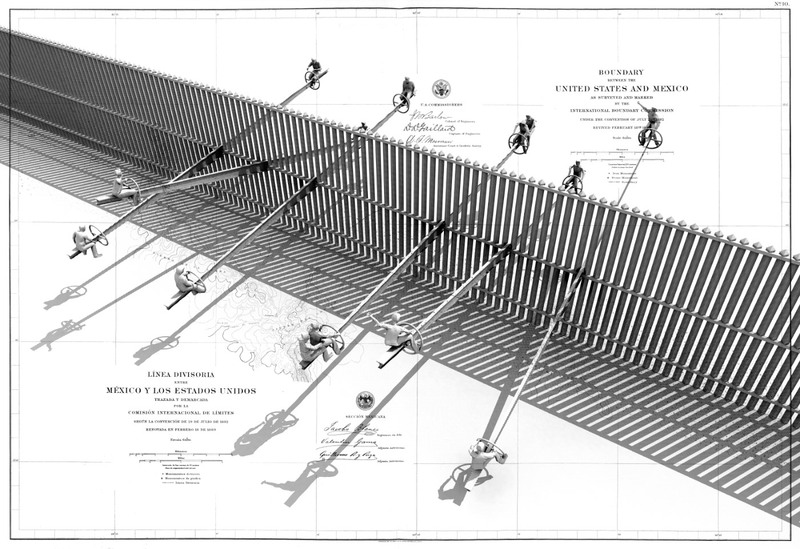 In this context, Borderwall as Architecture becomes a critical toolbox, challenging readers with speculative proposals, informing with realpolitik discussions, and engaging guest writers such as Teddy Cruz and Michael Dear to encourage architects to think expansively about the southern border and imagine better solutions.